Want to send a plant gift but don't have a green thumb? 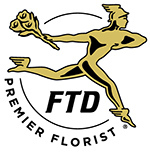 Find the hottest picks in Tala Florist Northshore's best selling plants and flowers section. Rose plants are perfect for romance; blooming plants brighten anyone's day; and a green plant provides lasting beauty. Our best selling plants take the guesswork out of gift-giving.